TRIVIUM Frontman Matt Heafy - "IN FLAMES Played A Huge Role In My Rhythm Guitar Playing; The Jester Race And Whoracle Were Two Of The Most Influential Records Ever Made"
TRIVIUM frontman Matt Heafy is featured in a new interview with Ultimate-Guitar.com. An excerpt from the discussion about the band's new album, In Waves, is available below. 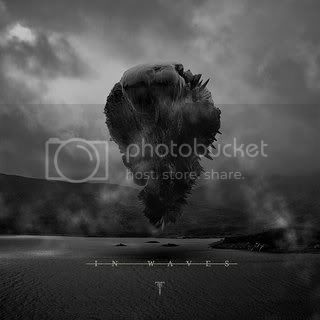 UG: For In Waves, you said you wanted to return to a more organic and less busy sound like what was heard on Ascendancy. Is that an accurate statement? Matt Heafy: "We have been hearing the comparisons to the Ascendancy thing. I might have accidentally said it a long time ago before the record started coming up. Definitely with this record it wasn’t a, 'Hey, let’s go to the Ascendancy-style Trivium' or 'Hey, let’s try to do anything we’ve done.' I think what people are relating to and remembering is that it was this record, just like Ember and Ascendancy, we made them without thinking of what anybody is going to think of the record. We didn’t plan out, 'Hey, let’s make something like this or that' with Ember or Ascendancy because we didn’t have any fans yet. When it time to write Crusade we were obviously making something that was intentionally very, very different from Ascendancy and Shogun was the same way. So with In Waves we went back to a feeling of, 'You know what? Let’s just make the music we want to hear and make it look like we want to make it look. Let’s not apologize for anything.' It was exactly what we wanted to say and what we wanted to do." UG: Can you talk about some of the guitar players that you listen to? I understand you’re an Yngwie and Petrucci fan. On the rhythmic side, I’ve heard James Hetfield. Matt Heafy: "The people that got me into it…obviously James Hetfield and METALLICA. The Black album was the very first metal album I ever heard. So it was him that got me into it. IN FLAMES played a huge role in my rhythm guitar playing in the fact they were able to do rhythm guitar parts so methodically. The Jester Race and Whoracle were two of the most influential records ever made as far as rhythm guitar playing. MACHINE HEAD’s Burning Red, that was the first Machine Head record I ever heard. Machine Head was the first metal band I ever saw as a kid, so they were very influential to me as well. Everyone knows the classic favorites like Metallica, MEGADETH, IRON MAIDEN, and JUDAS PRIEST. Those are the classic favorites, but we do jump all over the place. THE BEATLES were a huge inspiration to me. DEPECHE MODE, QUEEN... I also jump all over the place. While we were doing the vocals for this record, I was listening heavily to MUMFORD & SONS, ARCADE FIRE, RAMMSTEIN, Brazilian Bossa Nova, and jazz. I jump all over the place. A lot of classical music. Nowadays it’s hard to say what I’m listening to because I jump all over the place. Today I was cleaning the bus listening to Ratatat, which is kind of like indie, electronic, instrumental music. I’m all over the place. I allow myself to be influenced by every single style and every single thing going on."